Dentistry is one of the most desired professions available today. The industry is growing and in turn, so is the number of people wishing to embark on careers in the area. This article will look to outline some of the benefits and arguments in favor of pursuing such a career. The work involved in dentistry is varied in its makeup. 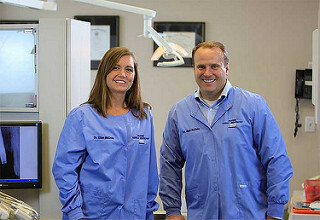 A dentist may be required to perform surgery or treat disease. In addition, he or she will have to examine, diagnose and treat conditions relating to the teeth and gums. Giving advice is another part of a dentist’s job. They will have to dispense instructions with regard to flossing, brushing and the use of fluorides. Dentists may have to prescribe medicine, perform routine checkups, administer anesthetics, treat cavities, decay or tartar and may also be required to recommend braces or surgery to those in need of such actions. In order to qualify as a dentist, one must attend four years study in dentistry at a registered school. In order to qualify for such a degree, a student will need to get good grades in areas such as biology, chemistry and health. A dentist will more than likely be able to go into private practice after between two to four years of internship or residency. The license for dentistry must be obtained from the board of examiners of the state in which they intend to practice. In addition to this, a dentist might choose to specialize in areas such as endodontics, periodontics, prosthodontics or orthodontics. In terms of salary, payment for dentists is set to rise in the years to come. In 2008, there were about 142,000 jobs available in dentistry. Roughly thirty percent of dentists are self-employed. The average salary for a dentist in 2008 was $142,870 per year. Salary will of course vary depending on certain factors, particularly with regard to specialization. For example, orthodontists earn an average of about $186,000 per year. Those who work in private practice normally earn more than those who are not self-employed. Most employed dentists receive health insurance. When setting up a business, it is important for a dentist to research the locality in which he or she intends to practice. It is necessary to find the right opportunity. Many dentists retire each year, which makes turnover of practice quite common and fluid, so plenty of jobs should be available for prospective dentists. It is also possible to earn a good living by working as a researcher or administrator, or even as a teacher. The recent surge in the use of laser dentistry means the numbers of people visiting dentists is still increasing. The career opportunities and job prospects are bright. Cosmetic dentistry - a closer look ? a new filling is bothering me?